If you were convicted following a trial in a circuit court in Maryland, you have a direct right of appeal. That means that the next highest court above the trial court, the Maryland Court of Special Appeals, must hear your case if you file your appeal within your filing deadline. You have thirty days from the date of your sentence to note your appeal. What that means is that you have thirty days from the date of your sentence to file a document stating that you wish to appeal with the clerk’s office of the court where your trial took place. No matter where your trial took place, your appeal will be heard by the Court of Special Appeals in Annapolis. 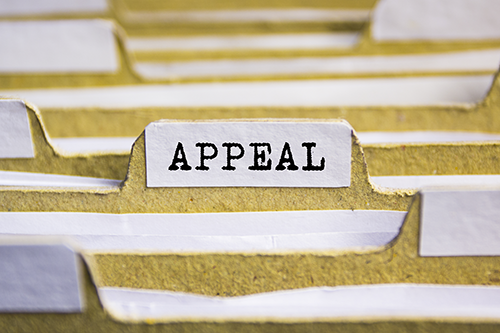 After you note your appeal, you (or your attorney) will receive a briefing order from the Court of Special Appeals. This document tells you when the brief of the appellant is due, when the State’s brief is due, and the date for oral argument. On appeal, you are arguing that the trial court made a mistake. For example, if your attorney requested a particular jury instruction and the court declined to give that instruction and your attorney objected, then that is one issue that you may raise on appeal. Another example of a type of issue that may be raised on appeal is if your attorney objected to a particular piece of evidence coming in and the court overruled that objection and admitted the evidence. The Court of Special Appeals reviews the record of the trial, the transcript and exhibits that were admitted. If your lawyer failed to object, then the issue may be considered waived unless the Court of Special Appeals finds plain error, a finding the court rarely makes. So you are usually limited to issues that court considers “preserved,” i.e., when your attorney raised an objection and the court overruled it or the State objected and the court sustained that objection. Once you are in the appellate stage of your case, the State is represented by the Office of the Attorney General and not the particular State’s Attorney’s Office that prosecuted your case. Oral arguments take place before a panel of three judges from the Court of Special Appeals. Your attorney will not know which judges will hear your case until the morning of oral arguments. You will not be transported from the Department of Corrections to oral arguments, but arguments are open to the public and your family may attend. There is no witness testimony. Your attorney and the assigned Assistant Attorney General will have an opportunity to present to the judges for about twenty minutes. A written decision is issued after the hearing, typically months later, affirming or reversing the conviction.